Preheat oven to 375°F. Spray muffin tin with cooking spray. 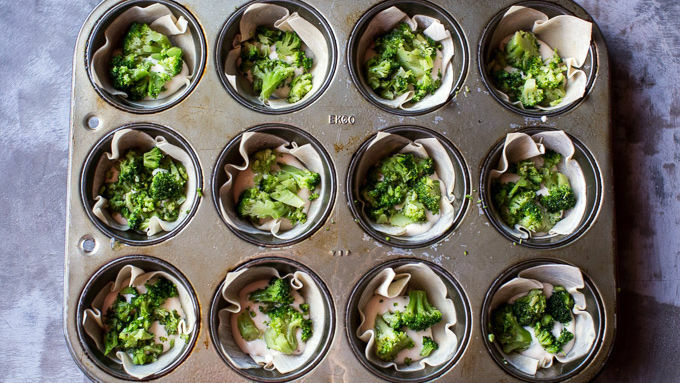 Press 1 wonton wrapper into bottom of each muffin tin. Add a rounded tablespoon of Alfredo sauce to bottom of each muffin tin. Top with a little broccoli, basil and then Parmesan cheese. Repeat with two more layers (i.e. wonton, Alfredo, veggies, basil and Parmesan). 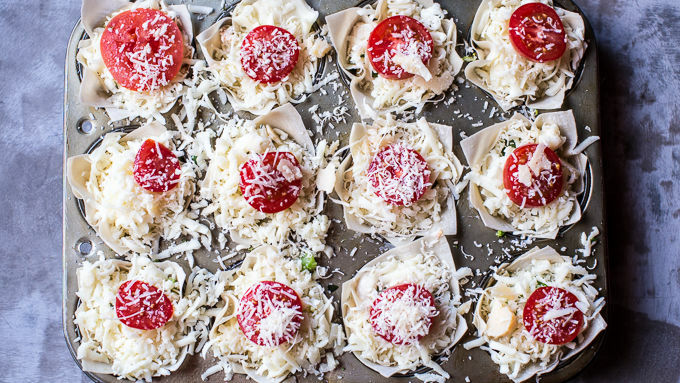 Finish the cupcakes with a layer of mozzarella cheese, the cherry tomatoes and then a sprinkle of Parmesan. Drizzle each cupcake with a little olive oil and a sprinkle of salt and pepper. Bake for 18-20 minutes or until edges are brown. Remove from oven and let cool for 5 minutes. To remove from tins, use a knife to loosen edges, then pop each lasagna cupcake out. Use your favorite mix of veggies! Try adding 1 cup of cooked chicken for added protein! My family is a huge fan of lasagna. I always make a big pan when we have a large group coming over for dinner, or just when we need a cozy Sunday night meal. To me, lasagna is the ultimate family meal, and just about everyone loves it! Sometimes I don't have time to make a traditional lasagna, and to be honest, sometimes I feel the need to switch things up a bit. 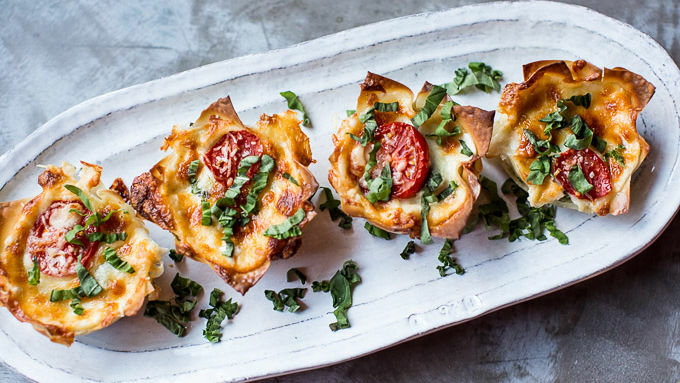 That's when these veggie lasagna cupcakes come into play. 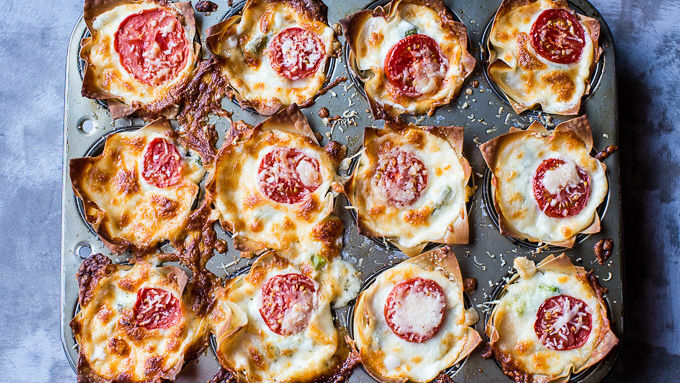 Not only are they delicious... and SO super quick, they're also really versatile. They can even double as a dinner party main course—just serve with a side salad and you're good to go. 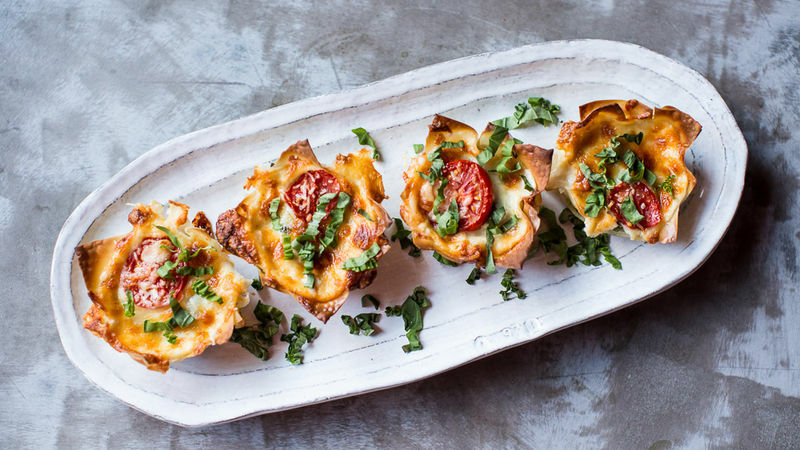 They're also great as fun party appetizer?s. You can use any of your favorite veggies, but I prefer Green Giant® Steamers® frozen broccoli. To save time, just use store bought Alfredo sauce. If you prefer homemade, here’s a great how-to video. These veggie lasagna cupcakes are such a quick and easy way to create a deliciously fun twist on lasagna. Your entire table will be impressed, and you'll have more time to enjoy your day. Win-win!